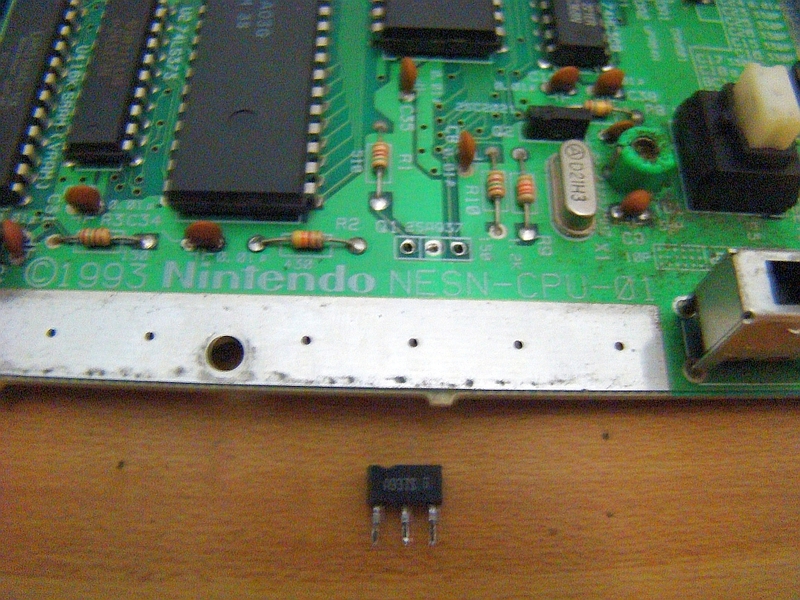 World 1-1: Grab your gamebit screwdriver and remove the 4 “Nintendo” security screws (of death). They are in each of the four corners, as shown on the picture. Simple as that! However, if you’re a normal human being that doesn’t have one of those handy, you have these two options. Option 1: “The Pen Trick” Take a bic pen, remove the ink cartridge section (make sure not to separate the tip of the pen from the ink cartridge barrel, resulting in a huge mess), heat the end up with a lighter until it becomes soft, smush it down straight on top of one of the screws firmly, and hold it there for a few seconds until it cools. This will create a bond around the head of the screw that you can use to twist them loose, but be gentle with it as the plastic bond of the pen will wear out pretty easily. You will probably have to re-melt the plastic for each screw. 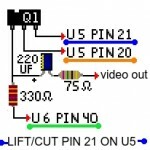 Option 2 (Advanced): “The Screwdriver Trick” Note: This will create sparks and sharp debris so exercise caution and use all safety precautions of power tools and the like with this method. If you are novice with a rotary tool and/or power tools in general use Option 1 (or just buy the damned specialty screwdriver, which is less than the cost of getting all your fingers sewed back on). 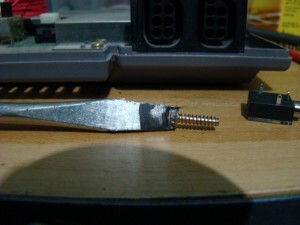 If you have a spare flathead screwdriver sitting around, one narrow enough to fit into the recessed screw holes on the back case, but still wider than the Nintendo screws themselves, we can cut out the middle of the head with a dremel tool so that the screwdriver will grip the sides of the screw to remove it. Take the screwdriver and CAREFULLY dremel out the middle of the blade a small bit at a time until you can fit the two prongs that have developed into the notches on the Nintendo screw. 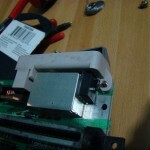 For more information on this method take a look at Ben Heckendorn’s Engadget Article on different methods of removing Nintendo screws. World 1-2: Now that you have the case open, it’s time to remove the large aluminum heat sink that is behind the cart slot. 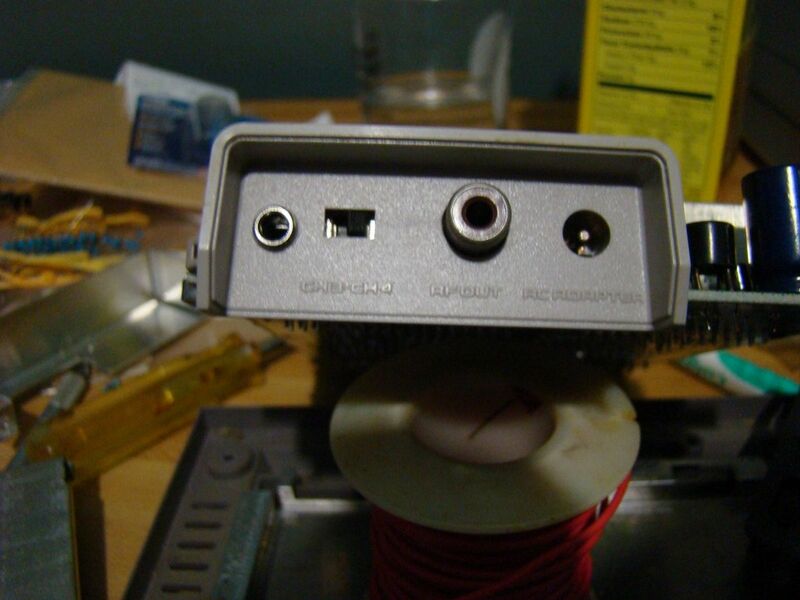 Look at the back of the case and locate the 7805 Voltage regulator and remove the screw that attaches the voltage regulator to the middle of the heat sink and set it to one side. Next, flip the board over and remove the 2 screws attaching the heat sink on the underside of the board. 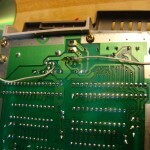 Remove the metal RF shielding on the front of the board as well. 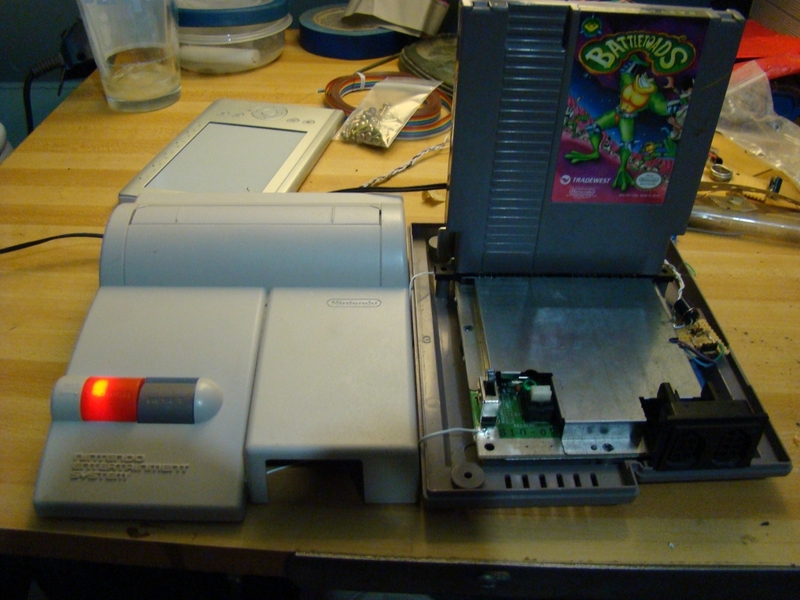 No further disassembly should be needed beyond this. 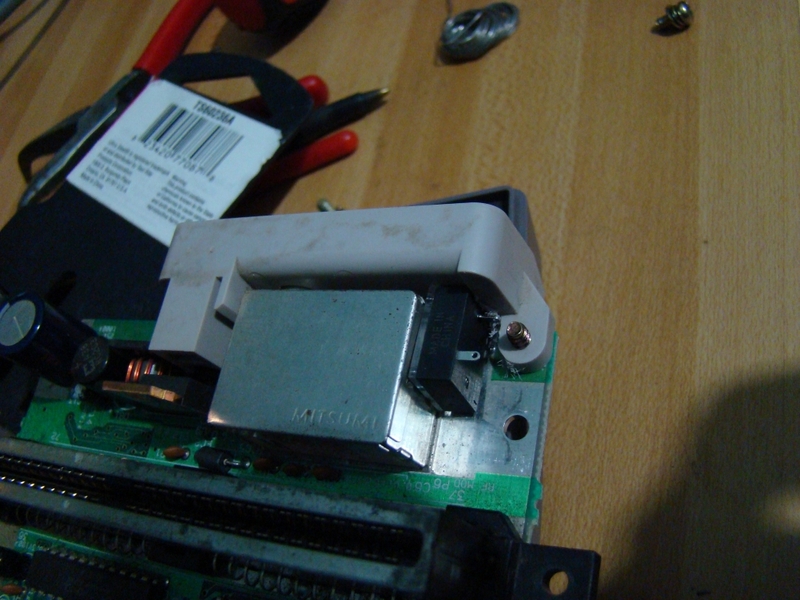 NOTE: Handle your Nintendo with care while the motherboard is exposed, and be careful of static electricity! 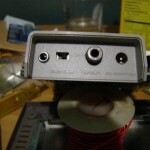 World 2-1: Add in a hole for the A/V jack. Careful use of a Dremel Routing Bit or a ~3mm or 1/8th (0.125) inch drill bit will be required for this part. 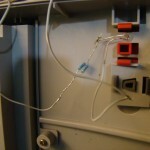 Set the A/V jack in position next to the RF block with the threaded portion touching the grey plastic panel that the AC and RF jacks are located. 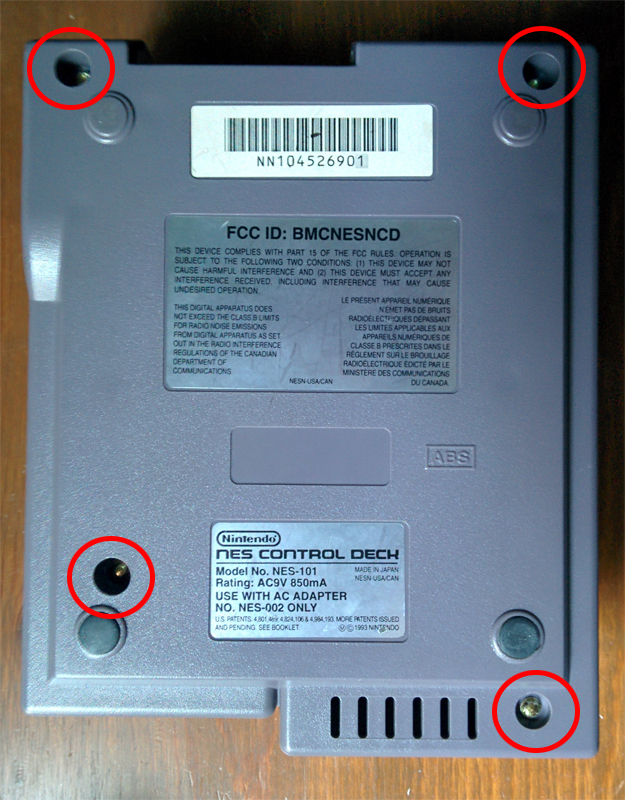 With a fine tipped marker, try to find and line up the exact location of the center of the opening for where you will place the A/V jack, keeping it (in line) with the placement of the other existing parts on the panel to keep a streamlined look. A good way to achieve this is to take a pencil, look at the AV jack sitting in place straight on from the side (as close to perfectly straight as you can) and make a mark where the center line is. Do the same from the top of the jack as well. The center mark will be where the lines intersect. Now that you have your center mark, carefully drill the hole using the dremel/drill bit size mentioned above. The hole will be about 1mm smaller than the needed for a small amount of wiggle room to adjust your hole if it is slightly off center. Make sure to drill/dremel slowly, as it’s better to have a hole too small than too big. Dremeling to about 80-90% of finished size then carefully carving it out the rest of the way with an X-acto knife is an alternative if worried about cutting off too much with the power tool. 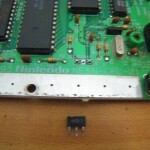 When making the hole is complete, the jack should ideally fit snugly in the hole with the nut only being needed to prevent the jack from getting pushed back inside the NES. 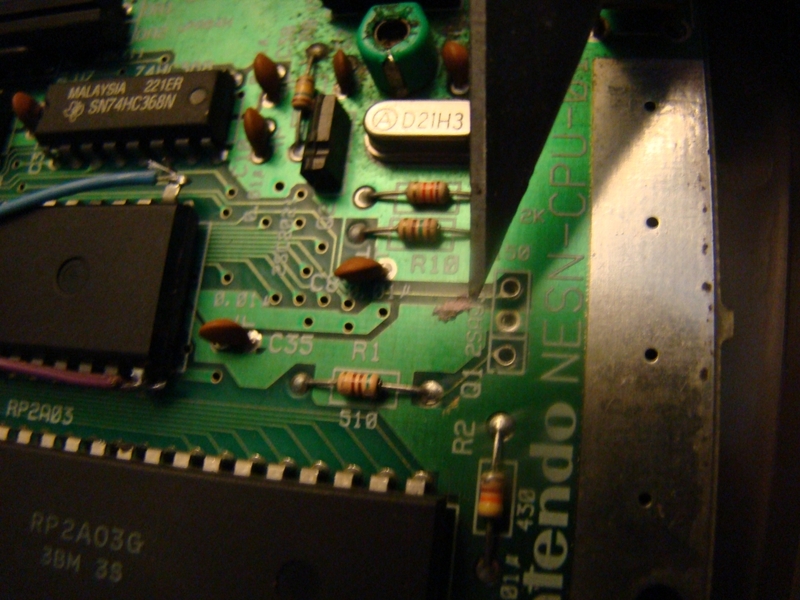 A dab of loctite or superglue to prevent the nut from coming off is also recommended. 2-1a (optional) Power LED mod! 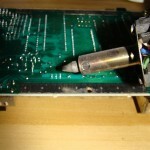 If you have chosen to purchase your own NPN transistor to use on the mod board you can skip this step. 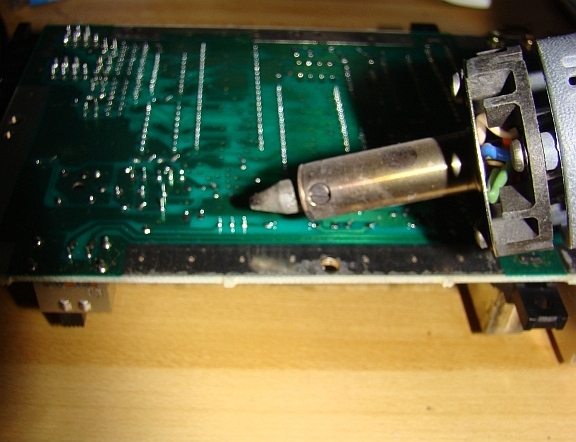 follow standard de-soldering procedure appropriate for your particular device (desoldering pump, bulb, or braid) practice on some junk first before going for the real thing if you feel that you need it. Try to keep the amount of heat as low as possible to prevent damage to U1. 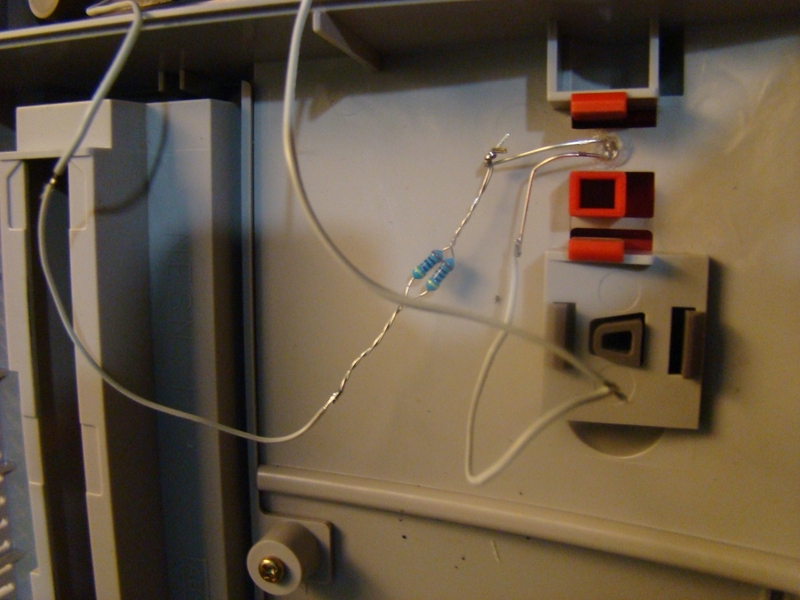 check all your connections, making you you dont have any bridged pins or loose connections. 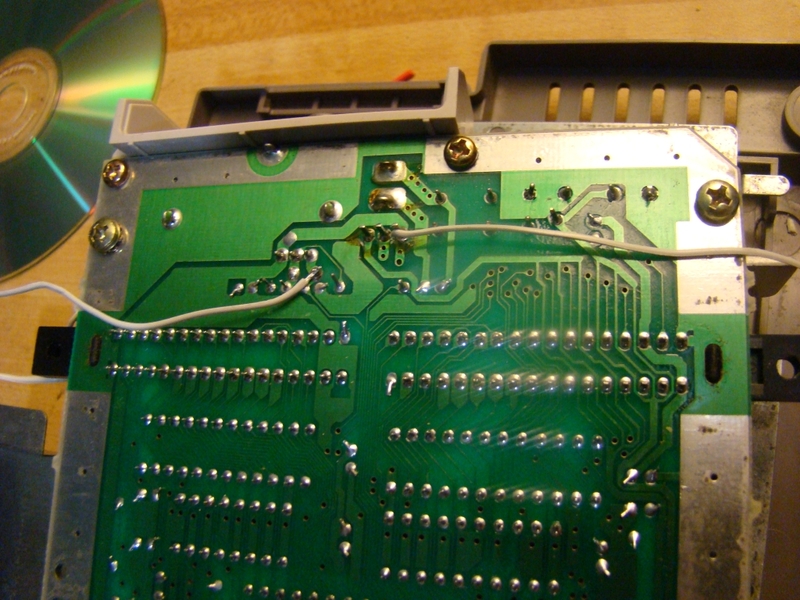 Also make sure the ground wire loop is contacting the RF shielding when you screw down the mod board. Simply plug the AV cable into the jack you installed on the back of the NES and plug the RED plug into the video (yellow) RCA jack on your TV. 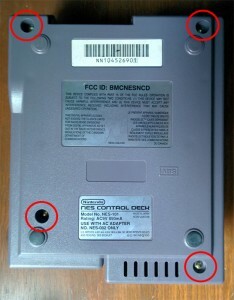 White connector can be plugged into either of the stereo (white/red) RCA jacks. or purchase a splitter and plug it into both! 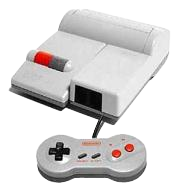 plug in power, pop a game in and give it a shot. if you followed the directions properly you should be now ready to close up your nintendo and enjoy!